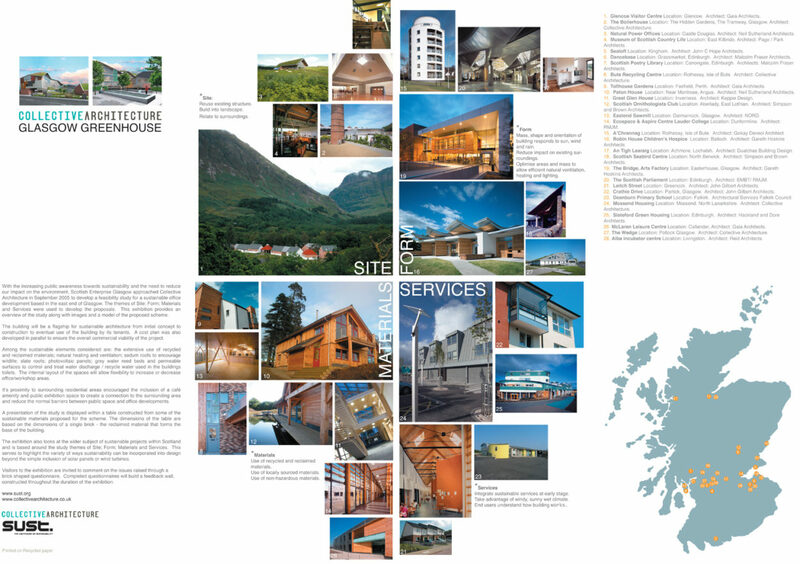 An exhibition based on a feasibility study carried out by Collective Architecture for Scottish Enterprise. 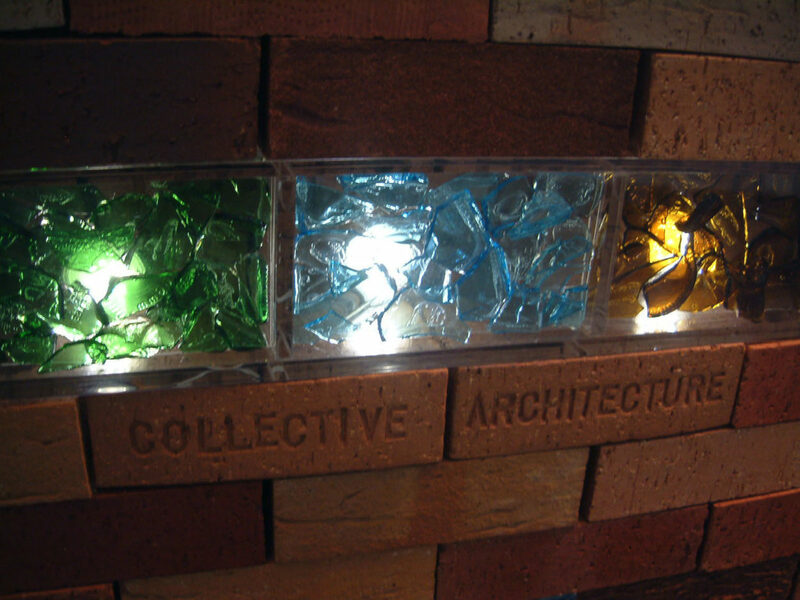 A sustainable office development in the east end of Glasgow. 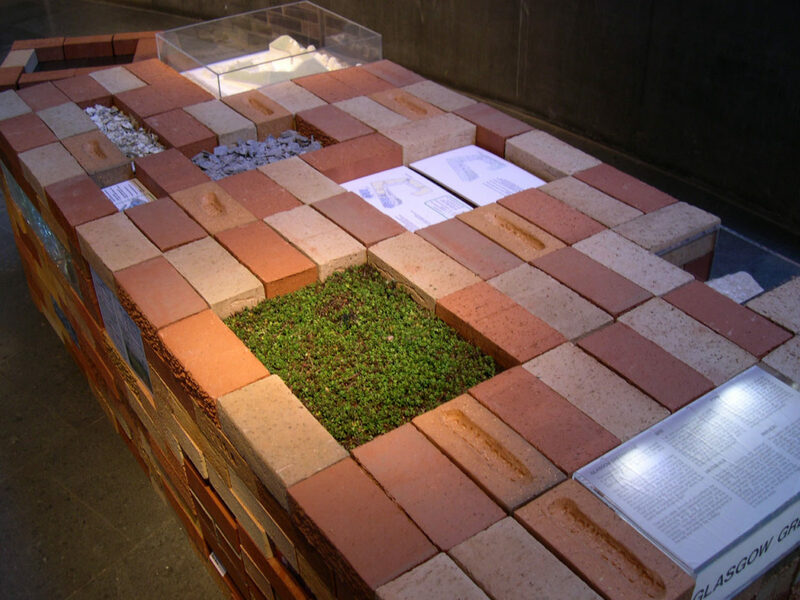 The exhibition itself takes the form of a ‘brick table’ created from reclaimed bricks with recesses created which hold recycled materials used in the building along with drawings and a model of the final proposals. 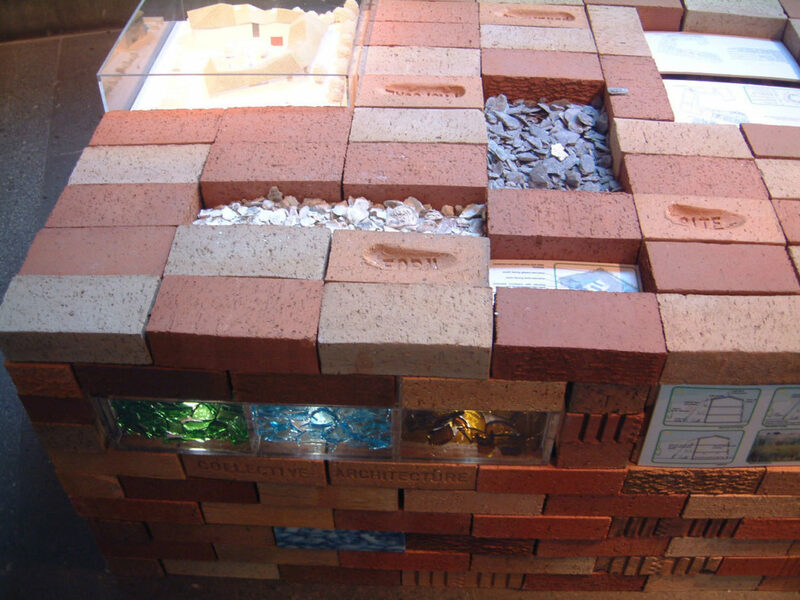 The brick table dimensions are based on the module of a single brick and represents the base of the building. 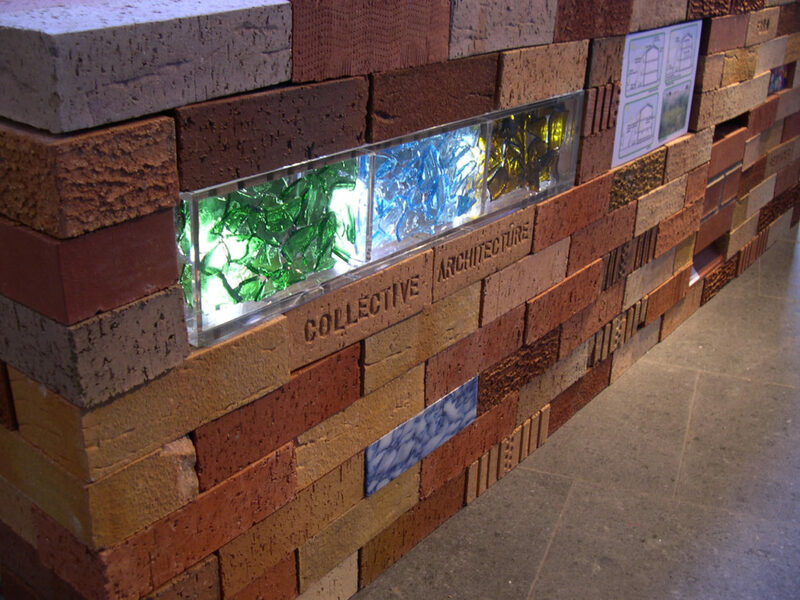 There is also an opportunity for public feedback in the exhibition through a questionnaire brick which holds a questionnaire sheet while stickers provided allow people to choose their favourite material. 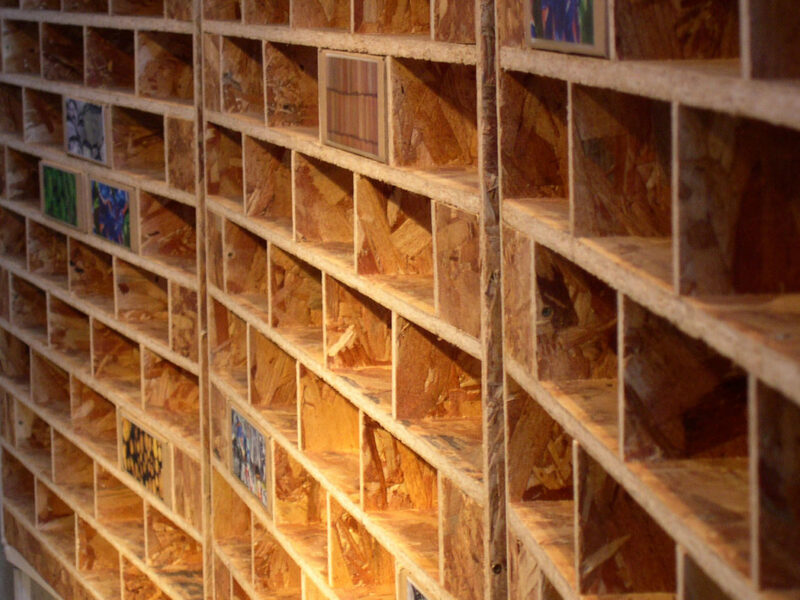 These are inserted into a ‘wall’ which, over the course of the exhibition, will be built by the public with their responses. 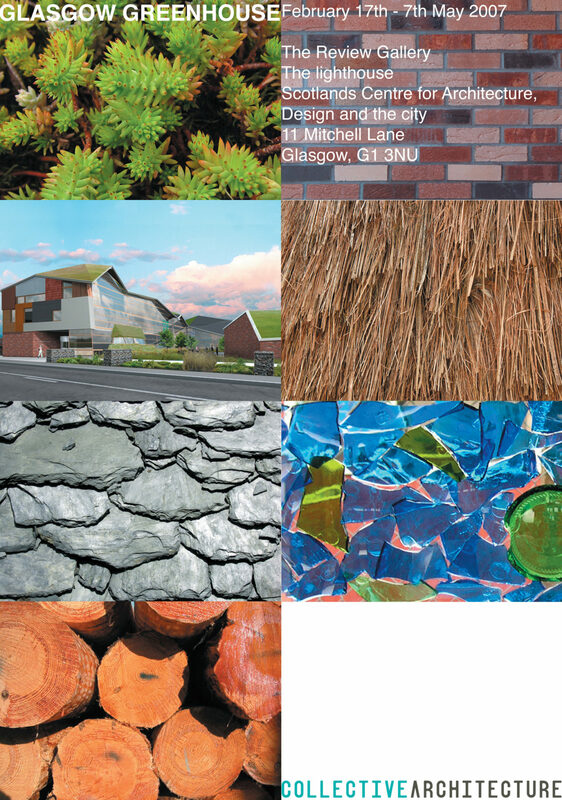 The exhibition also gives a glimpse of the wider context of sustainable design in Scotland through a selection of projects ranging from recycling centres to the Scottish Parliament.